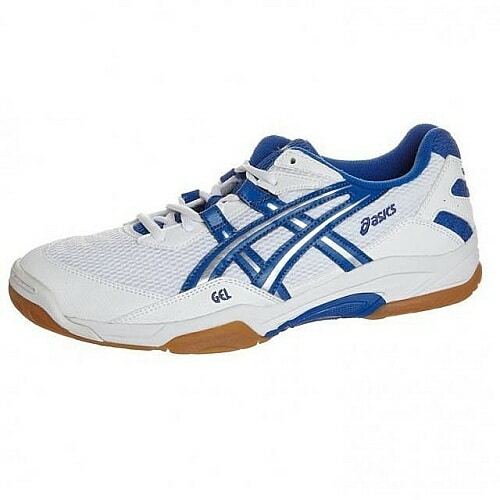 ASICS is a company widely known by ping pong players to make excellent quality table tennis shoes. The shoes made by ASICS are with the purpose to provide great performance for players for both men and women. And they are some of the highest quality ones you can buy. They are popular with recreational players worldwide, and there are lots of professional players that use them as well. ASICS is actually a Japanese athletic company, specializing in many athletic clothing and footwear. ASICS table tennis shoes not only perform superbly, but their look and feel are amazing also, especially when playing on the courts. What most people enjoy about shoes is how comfortable they are. No one can deny that when wearing a pair of ASICS shoes, their feet will stay comfortable and stabilized throughout the entire match. A lot of hours were put into the design of these shoes since the amount of optimization is incredible. They provide awesome support for the arches of your feet which will help a lot when moving and crossing. They are also lightweight, which is a very important factor for any table tennis player. When making table tennis shoes, ASICS keeps many important factors in mind. Thus, the shoes can be used for whatever kind of court and floor surface you’re playing on. Whether it’s plastic, wood, dirt or concrete cement, the amount of traction you get can be impeccable. Since quick pivoting and movement are so important to players, anyone who plays ping pong will benefit heavily if wearing a pair of ASICS. 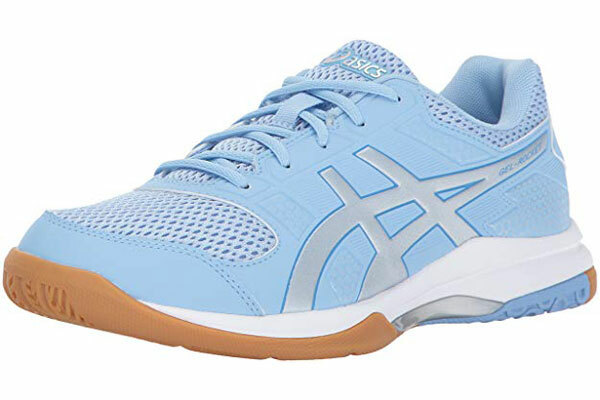 One defining aspect of ASICS table tennis shoes is that most of the newest models these days are made of gel-like materials. Look on the internet for a pair of ASICS shoes being sold anywhere, and the name of the shoe will most likely have gel in it. 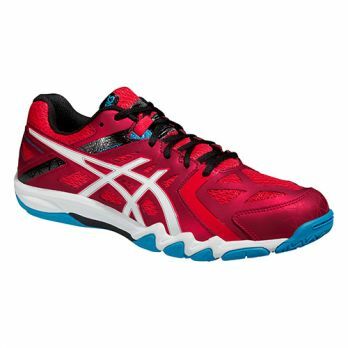 You may check out ASICS Gel Court Control shoes to figure out more on it. This is an innovative part of their line of shoes, and the gel design helps to maximize comfort and maneuverability. When you think of the word gel, it brings to mind soft but flexible material, and this is exactly how ASICS shoes feel to the touch. That material feels great when playing a game and it provides stability but also flexibility in movement, to help you maximize your performance. Another aspect of ASICS table tennis shoes is that they are durable, and will not break even after hundreds of long stressful games. Since ping pong is a game that might put a lot of stress on your shoes with the constant movement, ASICS is made to withstand tons of stretching and damage. Below, I summarize a product description for a pair of ASICS table shoes. It gives an example of they put how much technology into them. Contains a system called the Impact Guidance System, which enhances the foot’s natural gait from toe-off to impact. Contains GEL cushioning in the front and back of the shoe, places strategically at the areas which receive the most stress to absorb shock. Personal Heel Fit which features memory foam around the heel area to create a personalized, different mold for the user. Biomorphic fit upper which provides better function and fit. Solyte midsole material, combined with improved durability and cushioning. 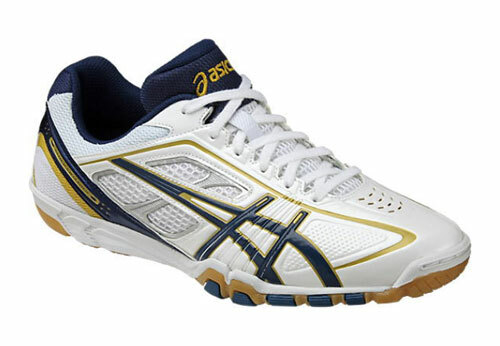 ASICS is a company which takes the creation of table tennis shoes seriously. The only company that can rival them in the production of top quality shoes would be Mizuno and Butterfly, but they are both definitely good companies. These shoes are ideal for indoor courts sports. You have a breathable mesh at the upper that will really allow your foot to breathe while you are playing with some supportive synthetic overlay. For some durability. You have light padding around that collar and tongue but not too much that way won’t hinder your mobility. The soft fabric interior with a rear foot cushioning system in the heel awesome for edge shock absorption and a smooth transition throughout your step. There is a trusted system in there that will help reduce the overall weight of the shoe without compromising the structural integrity. Down to the very bottom, you can see there is a AHAR(ASICS High Abrasion Resistance Rubber) rubber outsole that design for long-lasting and comforting. The ASICS Gel Blade 5 shoes can keep you nice and steady on all types of courts while you are playing. 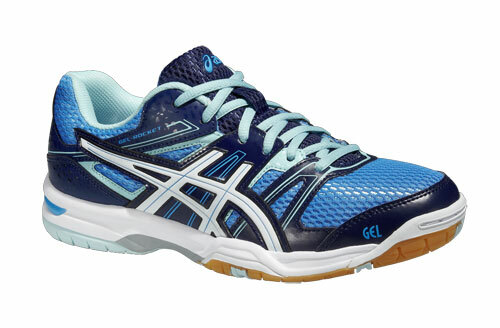 The ASICS Gel Rocket 7 shoes are part of the popular Gel Rocket series from ASICS. This is on the 7th generation now and they are a big hit year after year because the price is right. You can read the ASICS Gel Rocket 7 Shoes Review. 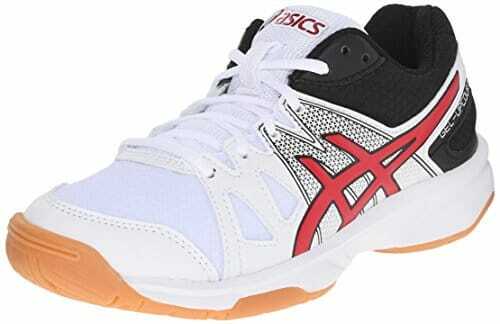 This is the lowest cost table tennis shoes that you can get from Asics. You can read the Asics Gel Upcourt Indoor Court Shoe Review. This is the shoes that can offer you with good support and cushioning. You can read more about this shoe by following this link. You can read more about this shoe by following this link. 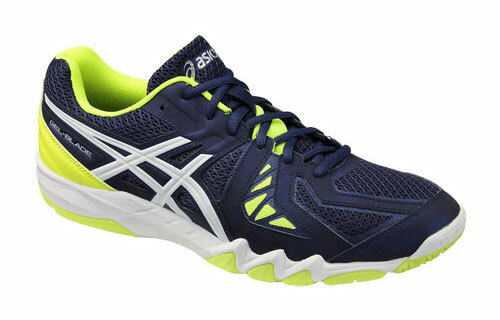 The ASICS Gel Rocket 8 is another pair of shoe to add on to the ASICS Rocket range. You can read the ASICS Gel Rocket 8 Shoes Review. If you are wondering where to get ASICS shoes for sale, you can always check online or look at Amazon to compare the price as Amazon seems to be a huge marketplace for you to get the shoe you want in a quicker way. No matter you are looking for women’s or men’s table tennis shoes, you can always what you want as long as you do searches on the internet. Butterfly table tennis shoes are made by ASICS. Who makes Mizuno?